My happiness at the return of the shocklands is only matched by my happiness at already owning a set of shocklands. One of the extra-fun features of the new Standard is that Farseek is cleverly written to be able to search up nonbasics as long as they’re typed. This means that, as we saw back when Ravnica itself was in Standard, many decks will want to touch green to give them access to superlative mana fixing. 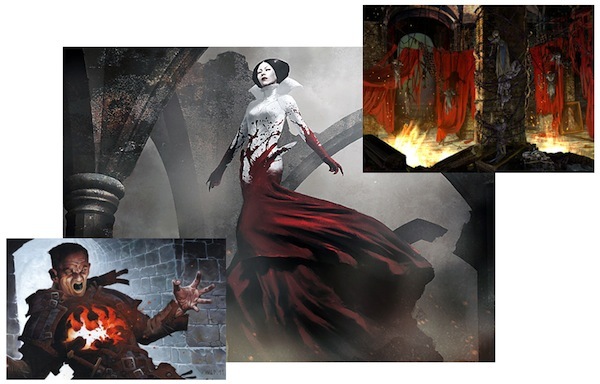 The Jund build below actually began life as inspiration in the middle of a frustrated effort to build an updated Black/Red Zombies list. It’s quite a bit of fun and gets good mileage out of both Dreadbore and Abrupt Decay. This entry was posted in Innistrad - M13 - Return to Ravnica Standard and tagged decklist, standard by parakkum. Bookmark the permalink.